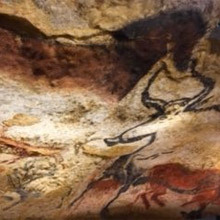 The Dordogne in honor with the new cave of Lascaux. 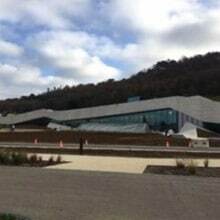 The new cave of lascaux is at the foot of the hill sheltering the original cave. 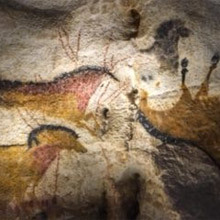 The prehistoric men painted and engraved urochs the ancestors of the bulls that were reproduced identically in the new Lascaux. The original cave reproduced in its entirety. All the paintings and engravings of the cave, discovered by chance in 1940, have been reproduced identically. The tour is accompanied by a guide. Each visitor is also provided with a touch pad. The experience continues beyond with the workshop space giving another much more detailed look on the works. You can also paint like prehistoric men on large touch screens. Immerse yourself in the cave through the 3-D theater and the space dedicated to augmented reality. Discover the new Lascaux during your stay at the campsite. As of 01 April 2017, the Douzou opens its doors. Take advantage now of the small prices of our accommodations, not to mention our discounted rates during the first fortnight of July.